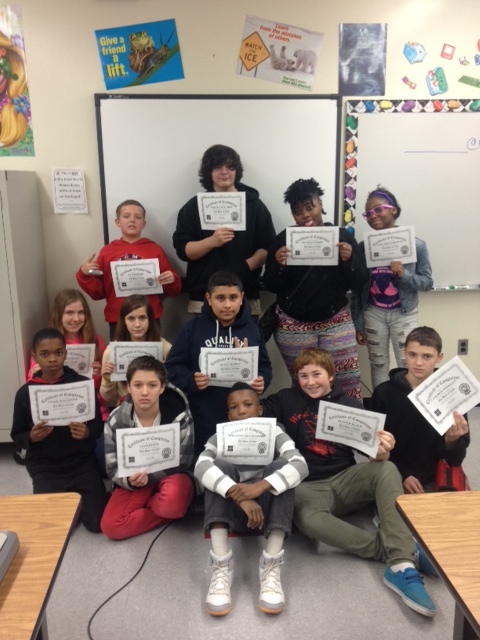 This week we have been celebrating Computer Science Education Week in my Focus Reading Intervention classes by participating in the 2014 Hour of Code. Hour of Code is a one hour introduction to computer science that provides the opportunity for anyone to learn the basics. We spent Monday and Tuesday of this week watching a couple of short instructional videos and then exploring several really cool programs. 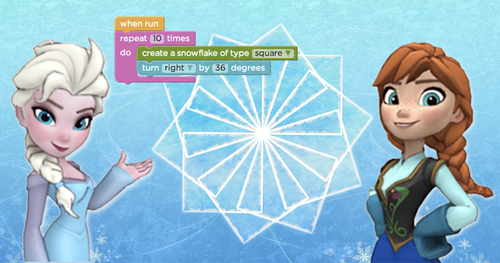 We started with “Code with Elsa and Anna” and it was a fantastic introduction to working with block style coding. While it was a little slow and glitchy Monday from the large numbers of students all over the world accessing it (Honestly though…what a cool problem to have!) students learned the basics of coding and moved through 20 levels of programming. On day two, students used Scratch, Lightbot and another block style coding program for Flappy Birds. Scratch is pretty challenging for beginners, and it was fun to watch students designing their own holiday cards and animating their names. Any time 6th, 7th and 8th graders are willingly trying new things, problem solving, and working together is a definite proud teacher moment! It was one of the most animated and excited I have seen my students. I love that students can use their new knowledge of coding and work on projects outside of school. I have a couple 6th graders that are now determined to create their own apps and become Scratch experts. 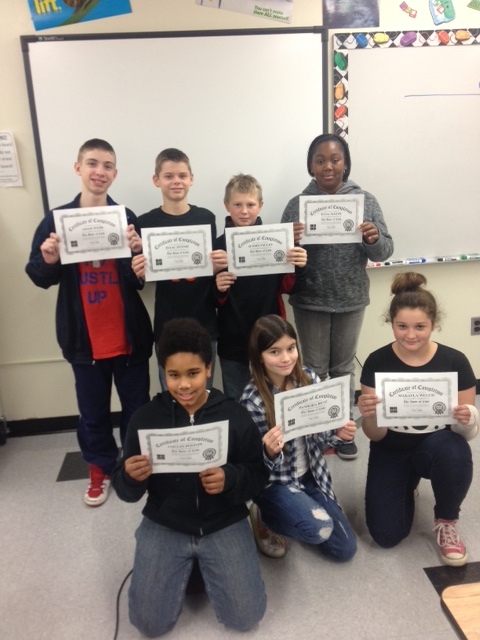 Here are my awesome students showing off their Hour of Code certificates! 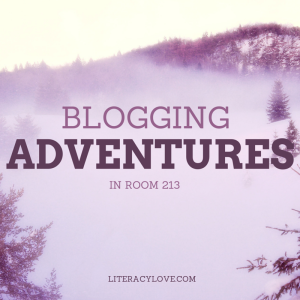 When starting blogging in the classroom for the very first time, I found that my students have varying backgrounds when it came to the Internet, let alone blogging. As teachers who use technology every day, don’t take for granted that your students do too. Some of my eighth graders have several Tumblr pages, while others don’t know how to successfully navigate around the World Wide Web. Yes, really. My first step was a little show and tell. 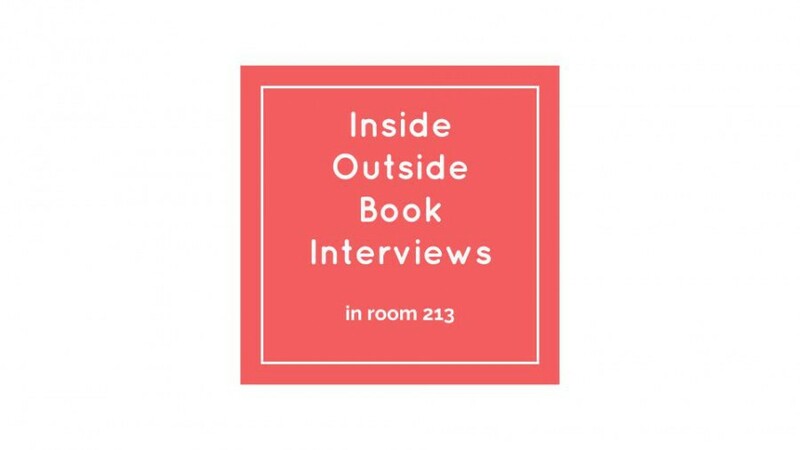 I showed students this blog and used it as a “mentor text” of sorts. It was a hit. Not necessarily the content, but the actually blog? Insert high five emoji here. I showed off the main parts of a blog – title, heading of post, content of post, categories, comments, etc. You can have students point these out too. Next I asked students to do a super quick brainstorm on what their blog’s theme would be and then do a quick pair share with their table mates. Definite student buy in at this point!! I then gave students pieces of 11 x 17 paper and asked them to design their blog using the main parts and include at least one post. They worked on it for almost a whole period and then were asked to bring it back completed in two days for our next step. I love gallery walks around the room for assignments like this. When we do gallery walks, students are 1. given 3-5 post its to write positive comments on them to stick on whatever they are sharing and 2. it is silent so everyone can focus. I also mention that we should make an effort to make sure everyone has comments on their project, which seems to always happen. 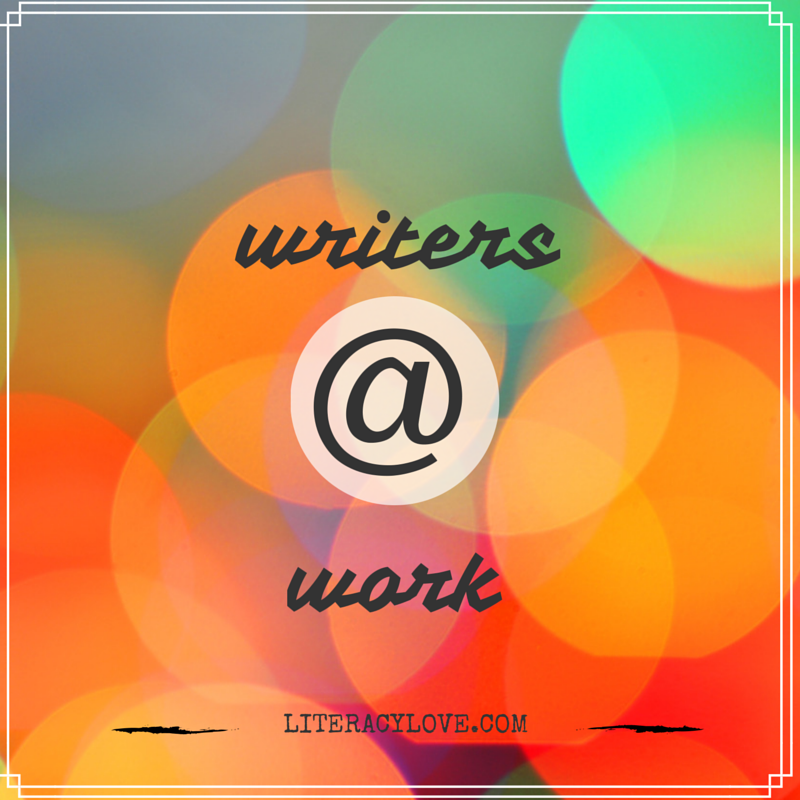 I love this intro to blogging and it really helps out with formatting in the long run. It gets kids excited and ready to jump to their own space online! Next up in this series will be Part 3: Where Should We Blog?